Saving water in the bathroom is possible by means of proper taps able to limit the consumption wisely and functionally. A small trick allowing us to use water with greater awareness and to save over 50% of the supplied water. If we consider that increase in water consumption means also increase in the cost per cubic meter, it is easy to figure out how much the bill will benefit. Wash basin mixers in Fir Italia Sweet 46 collection are the ideal choice for conscious consumers who want to save water in their bathroom, as they are equipped with a "green" water-saving aerator that limits the water flow rate to 6 litres/minute; without affecting either functionality or aesthetics. The result is a vigorous and optimal jet of water that combines minimal consumption with maximum comfort. Furthermore, the Sweet 46 mixers are equipped with an energy-saving cartridge, which with a simple intervention permits the regulation of the flow rate and water temperature. Sweet 46 is a Fir Italia one-hole mixer collection, characterized by balanced geometries and transversal and manifold design. 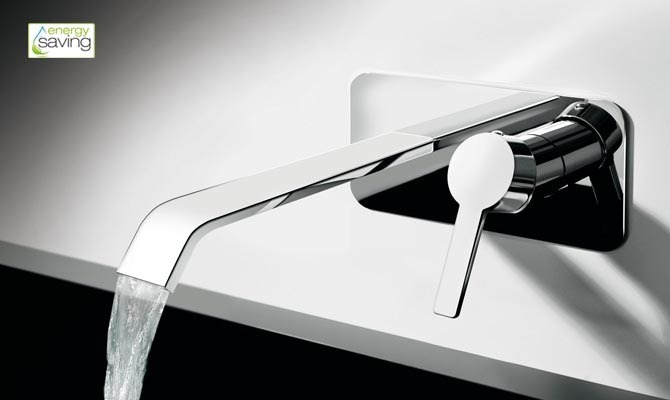 One of the features of the collection is the parallelism between the lever handle and the flat rectangular spout, which combine perfectly with the cylindrical shape of the body. The wash basin mixer is available in the following versions: deck-mounted; deck-mounted for washbowl; and in a wall-mounted built-in version with wall plate. 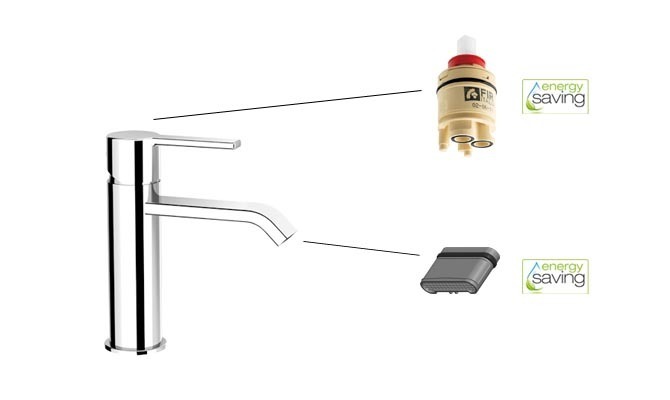 All of Fir Italia wash basin mixer taps, both modern and classic, are installed with "green" aerator that restricts the water flow capacity and saves on about half the water, guaranteeing a pleasant and balanced water flow. Furthermore, with Fir Italia it is also possible to keep an eye on water consumption in the shower. Simply install a flow reducer on any modern or classic shower head or shower bar. A solution that allows you to optimize the regulation of the water flow while maintaining the pleasant sensation of a vigorous and regenerating jet.